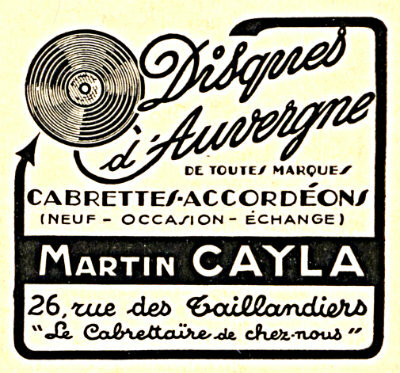 Today’s post features a great solo of cabrette, the Auvergne’s traditional bagpipe, by Martin Cayla. 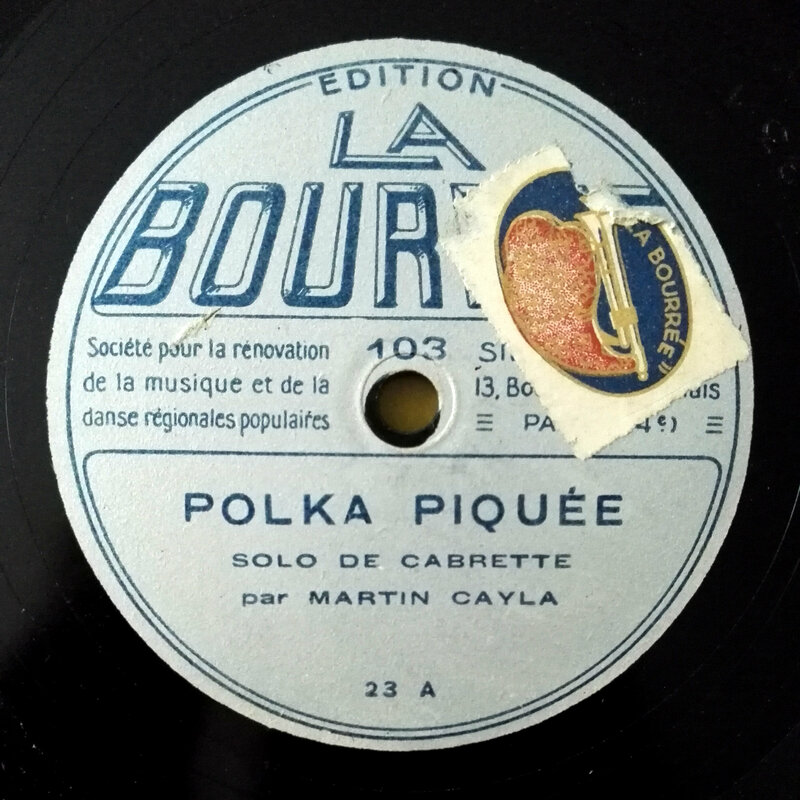 Starting the late 1920’s, Cayla recorded extensively on his own label “Le Soleil”, which first shop was located 26, rue des Taillandiers, in the 11th arrondissement of Paris, before moving to 33, rue du Faubourg Saint-Martin in the 10th arrondissement (the shop remained open until the year 2000). Cayla was an active musician and music editor from Paris Auvergnat community. 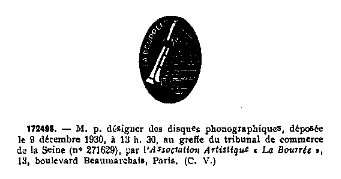 This is the first time I come across a record on La Bourrée Auvergne folk music label, founded in Paris on december 1930 according to Henri Chamoux’s book on French phonographic trademarks (a great ressource on French labels history which is fully available here). 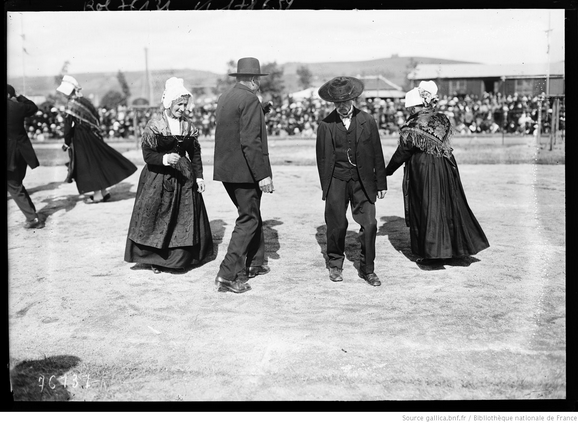 I already posted a recording by Cayla in this selection, be sure to check out this post on the Excavated Shellac blog and the Gamelan78s Youtube channel, too. 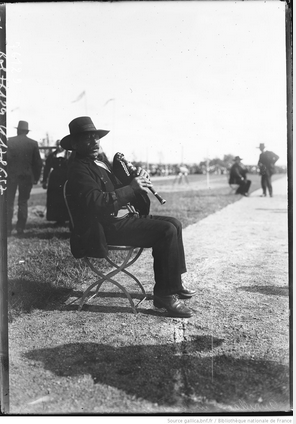 Other recordings by Cayla can be heard on Pathé, Odeon and Columbia. 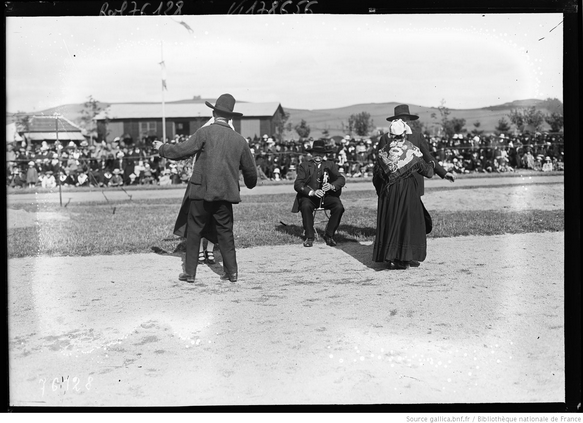 In addition, I’m sharing here a nice series of pictures I found in Gallica showing people dancing the Bourrée, the traditional dance from Auvergne, in a wedding to the music of a cabrette player. 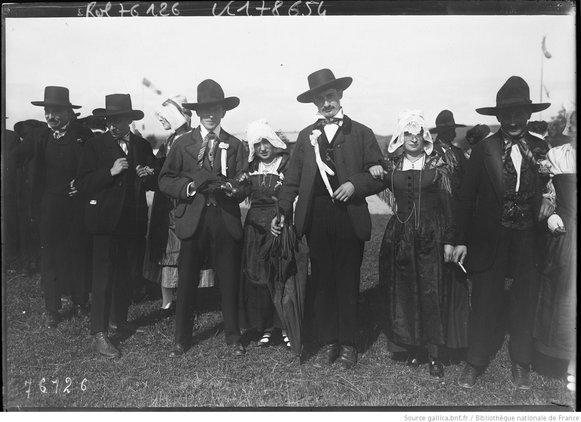 Pictures taken in 1922 in Aurillac, southern Auvergne, from the Rol Agency‘s collection.